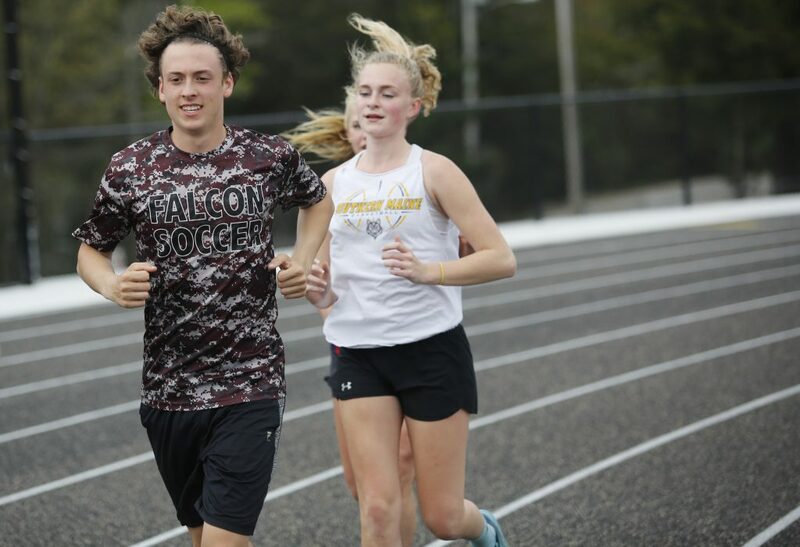 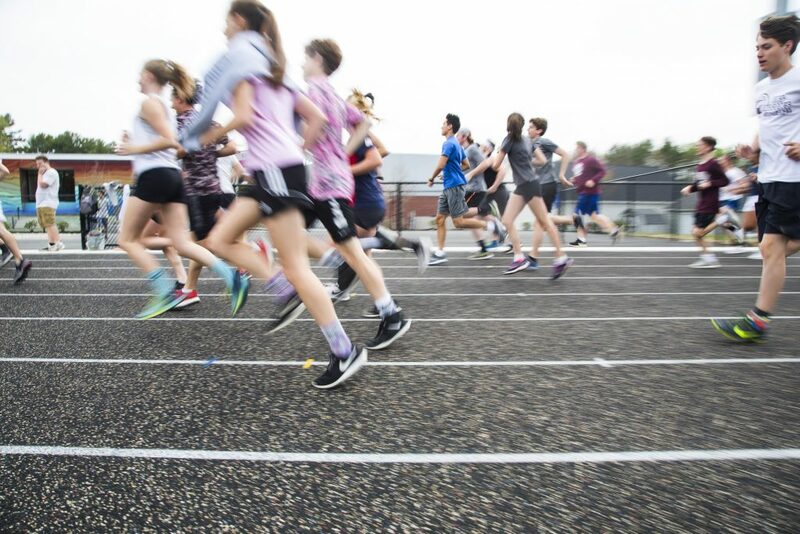 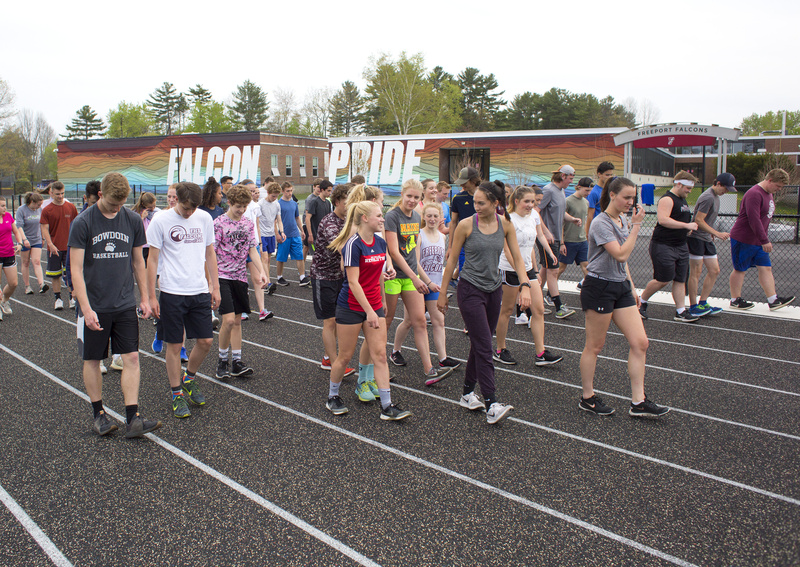 Freeport will hold its first track meet at the Joan Benoit Samuelson Track & Field, the school's new sports complex that features a new track and a turf field. 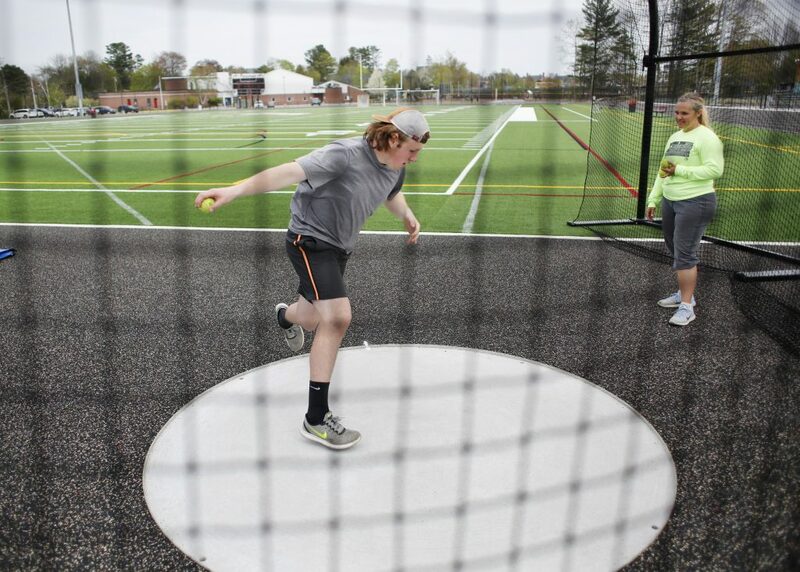 Assistant track coach Ginger Ivanov works with sophmore Noah Hight on discus throw technique at the new facility. Seniors Joe Ashby and Johanna Bogue-Marlowe practice at the new facility. 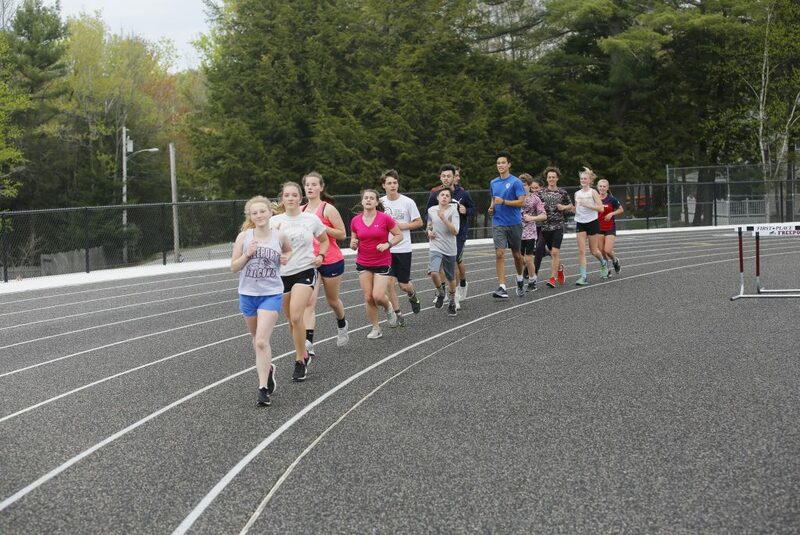 The Joan Benoit Samuelson Track & Field will host its first event on Friday afternoon. 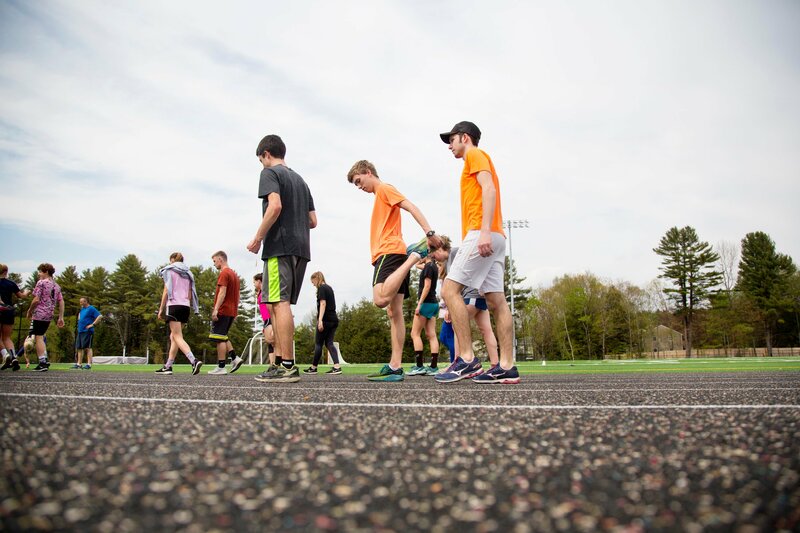  Included in the $4.5 million project is a synthetic turf field for football, soccer, lacrosse and field hockey. 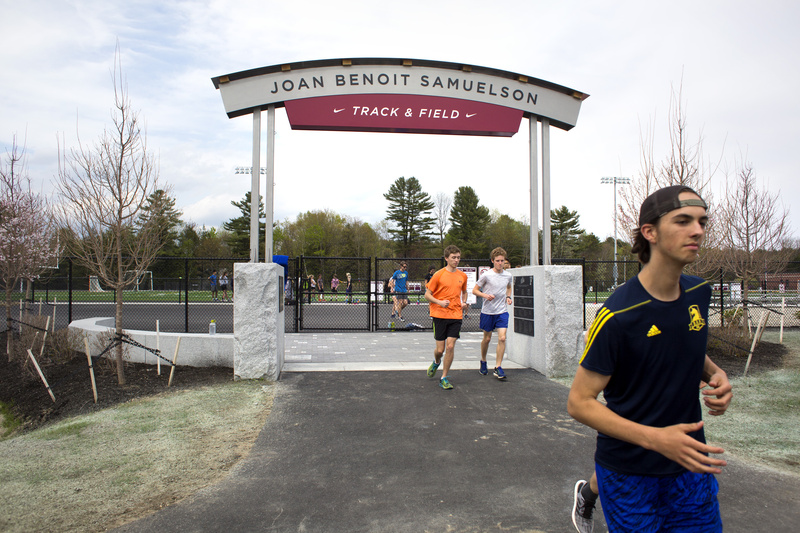 The Joan Benoit Samuelson Track & Field is about 150 feet from the high school gym. 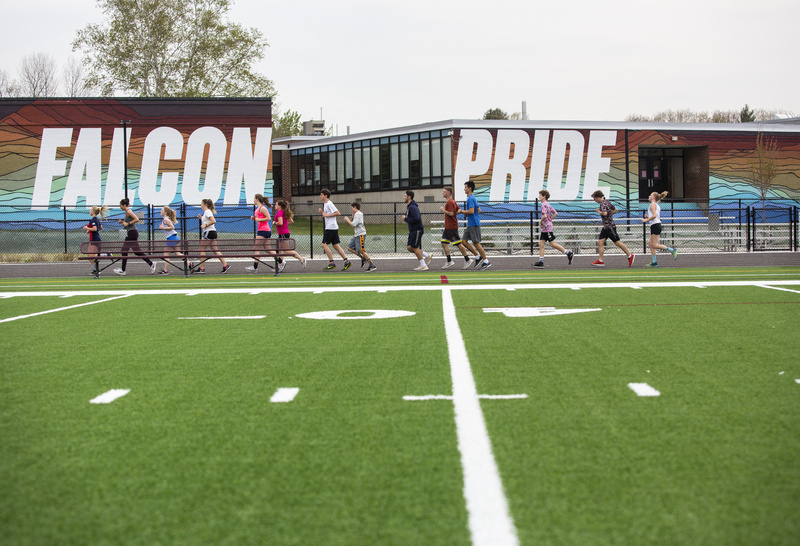 The track, which is now The track is black and still needs a final coating that will be applied later.